The client being the service provider of bike and kube share wanted to facilitate people with flawless functions and security to mobilize themselves even in an unknown place. The idea was to provide shareable ecosystem and on the go facilities with bike and recreational items to enjoy vacations refraining to carry the stuff wherever you go. With that thought in mind, the client thought to create the first shareable platform, which provides a completely flexible and sustainable sharing system for partners of all sizes. The team of TOPS, understood the client’s requirement and developed mobile app that was extremely useful and efficient. Additionally, the team also made sure to provide temper alert that provides the notification to the user if at all bike or kube vibrates when locked. The app also rings out for both admin and user when user goes out of the predefined range, user’s location is unavailable since hours and any new object added within the radius of the user. This provides a convenient and environmentally-friendly commute option for everyone in USA. Our experts have developed the most advanced and user friendly system in the world in both Android and iOS. 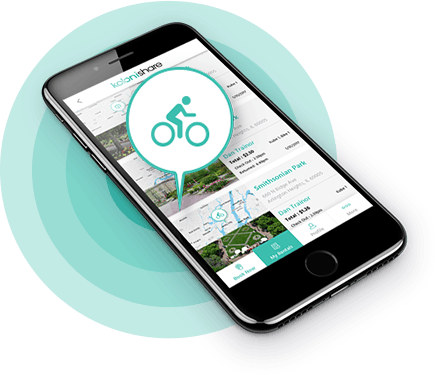 Fleet management solution enables you to manage bikes, kubes, and other shareable items. Koloni gives you, the partner, control to run your system and also helps in tracking analytics of ridership and movement of the shareable in real time. Keyless locking gives the ultimate user experience and is the best way to secure your investment. It’s attached tao the front of the bike and automatically unlocks from our app. By pressing the lock, you can secure it around one of our hubs, or simply just tying around the tire, securing it in place. 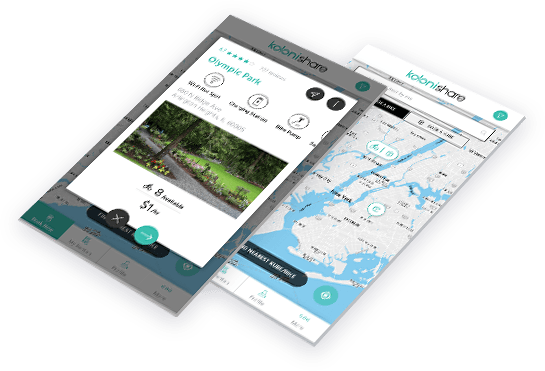 Recognizing a need to find a happy median between Kiosk and Rogue systems, Koloni has developed the first solution to market with the perfect blend of the same. We know every partner is different and that’s why we’ve created ‘Smart Systems’ to meet the needs of all our clients. Through our mobile app solution, smart bikes & racks, bluetooth locks, and geofenced hubs, we have developed the most advanced and user friendly system in the world. Whether you are looking to rent a bike, or a recreational item through our Koloni Kube, we always have the end user and our partners in mind. The products and services of Koloni Share are the most competitively priced options on the market. We are often priced at 1/5th the cost of a kiosk system and we look for ways to cover upfront costs through sponsorships and other funding alternatives. We provide and train each customer on our unique management software. This allows each partner to track equipment, maintenance requirements, traffic patterns and much more. Unlike bike share companies on the market, we are focused on connecting all of our shareables, not just bikes. Our vision is to install shareable ecosystems in each community that we operate. A Geofenced Hub is an invisible fence with a predetermined location. Each user must return their rental within a Geofence, allowing partners an affordable way to organize their fleet. Each Koloni and Kube has location tracking facility that enables the owners to track analytics. This helps them to determine optimal hub locations by sending data on server and triggers a response when a mobile device enters or leaves a particular area. 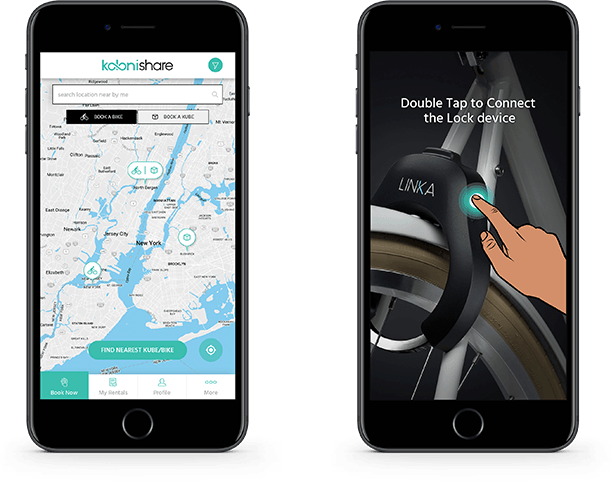 Both Koloni Bikes and Koloni Kubes are equipped with Bluetooth locking facility. This allows the user to easily unlock our equipment with their smart-phones within seconds. No keys or combinations to remember. As the app is PCI Compliance, it is integrated with Braintree Vault which securely stores your card details on third-party payment gateway to avoid any fraud or mishap. The information is encrypted by the Braintree gateway and associated with a unique payment method token. 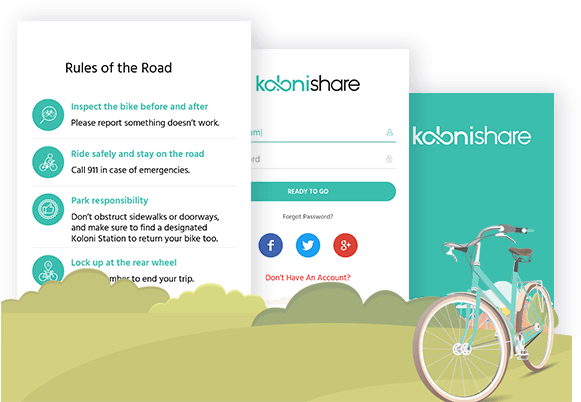 Koloni Share is integrated with the Report issue feature in which user can immediately report to the owner, if the bike is damaged, not working properly or any other issue. Admin also charges penalty if the bike returned is not in proper condition or rules are not followed. 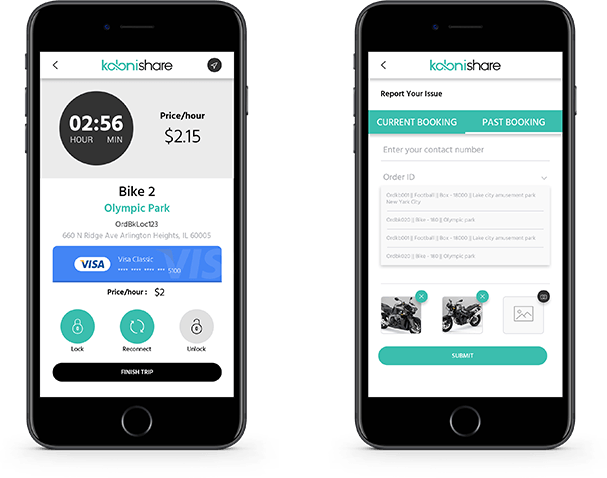 The team of mobile developers at TOPS Infosolutions used Swift Language, Android language and Java with Android SDK to develop the Koloni Share.